Both Floyd and Hazel are driven to leave their homes in the hills. What is it they are in such a rush to escape? Are they both fleeing from the same things? How realistic are their dreams? The novel centers on Hazel and Vida as young mothers with flashbacks to their childhoods. How essential are the early years of their lives to our understanding of these women as adults? Discuss Hazel's inability to belong. Would she have had the same difficulty had she stayed on the farm? How do these difficulties take shape when she encounters the other wives of her new class and neighborhood? Hazel’s quest for beauty becomes a singular goal when as a child she realizes she is unattractive. Why does beauty become the answer to all of her problems? What role does physical beauty play in this novel? When Hazel and Vida meet, they are both grieving. How do their losses affect them as women? How do they move forward both together and apart? 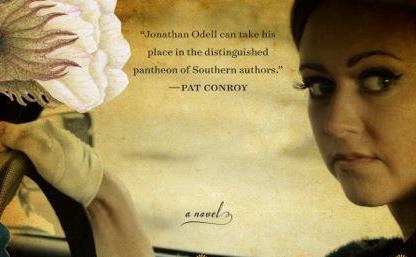 Odell first published a version of this novel in 2004, five years before Kathryn Stockett’s wildly successful book The Help appeared. Is there a difference between the way Odell portrays the balance of power between his main characters, Hazel and Vida. from that of the relationship in Stockett’s book between the white, privileged Skeeter and the struggling, exploited “colored” help? How does Vida come to terms with the hostility she faces from Hazel’s son Johnny? What do you imagine will become of young Johnny? Why do you suppose he was so fearful in the beginning? Is it easier today for boys who do not conform to traditional ideas of what it means to be a boy? Consider the ways Hazel and Vida find freedom as well as the times they each require rescuing. What transformation do they undergo throughout the course of this novel? How does the balance of power between the novel’s characters change over the course of the novel? Women are a central element in Delphi society, and Odell paints a vivid portrait of what, in the 1950s, was considered the ideal woman. Where does Hazel fit into this ideal at the beginning at the novel and then at the end? What, if any, elements of the stereotypical 1950s woman remain in our society today? Why is Hazel so attracted to the maids? Why is Vida so repulsed by the white women? What brings them together in the end? What do you imagine for Nate’s future? Will he ever learn the truth and how might that change him if he did? The novel is set largely in 1955. How much do you believe we have changed as a country when it comes to issue of race? As you noticed examples of racism in the story, did you recognize incidents from your own life or from the lives of family members of close friends? What were some instances of “internalized” racism (racist beliefs that have been accepted as true by the victims themselves) on the part of Odell’s black characters? If you were to choose either Vida or Hazel as a mother, which would be your choice? Would one make a better mother in contemporary times than the other? Do you think the women had other choices in their given situations? First novels are very special to a writer and often are their most autobiographical. What do you think about Maiden Lane’s decision to give Odell’s ten-year old debut novel a second chance, allowing Odell to make edits based on how much he has learned about storytelling in a decade? Odell tries to offer readers in both this novel and in The Healing a deeper understanding of the history of slavery and the civil rights movement in our country. What role can art play, if any, in helping us move us toward ending predudice? Can you offer examples of books or films that made you see the world differently? Last year (2014) was the fiftieth anniversay of the 1964 Freedom Summer in Mississippi, a summer when local black activists initiated a massive voter registration drive. That summer, hundreds of northern college students, predominantly white, came to help. What was the influence of these white students who came down? Some say their impact largely came about because, in the eyes of the nation, two of the student volunteers who were murdered were white, and therefore their livews had greater value than the lives of blacks who had been actively reisisting that system of oppression all long, even when it meant being attacked, raped, and killed. Do you agree? Odell has written that one reason racism is so difficult to cure is that it is passed on as a gift of love, meaning it is not given to us by people we see as evil, but by those who loved us and wanted us to feel special. Can you identify a scene in the novel where Odell’s point is most clearly made? If you agree with Odell, then how do you think racism can be overcome?